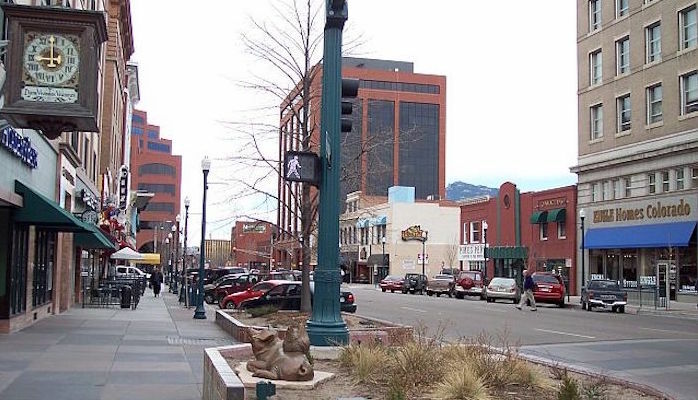 Although there are several paths and trails central to Colorado Springs, a great way to see the city is to take a run on some of the downtown streets. You may have to stop at a few traffic lights along the way, but the sidewalks are wide and in good condition. This route will take you from Antlers Park in the center of town, across Pikes Peak Ave, and down the main strip of South Tejon Street. Once you reach Colorado Ave, you’ll cross over Monument Creek and head west toward Old Colorado City. This stretch covers a nice neighborhood, where you can enjoy the local residences while striding down the tree-lined sidewalks. Cross over to the north on 14th street and make your way back on Pikes Peak Ave for a 3 mile loop.